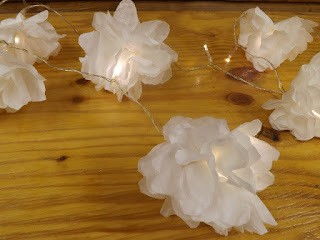 Susan of The Laughing Cabin has a fantastic tutorial on her blog for a Lighted Paper Flower tutorial. This would be absolutely perfect for an evening event outdoors or in. Susan also has some great ideas as to how to use this gorgeous garland on her blog. For the complete tutorial, simply click on the photo above!! !